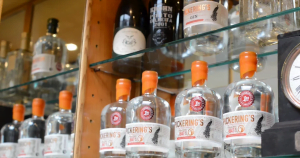 Next up in our Summerhall Residents series is Pickering’s Gin. This multi award winning, marvellously mixed gin is hand crafted at Summerhall Distillery – the first exclusive gin distillery to be established in Edinburgh for over 150 years. We spoke to Paul Donegan about the origins of the distillery and learned about the magic of making a London dry gin.